Courtesy of the Othello Community Museum. 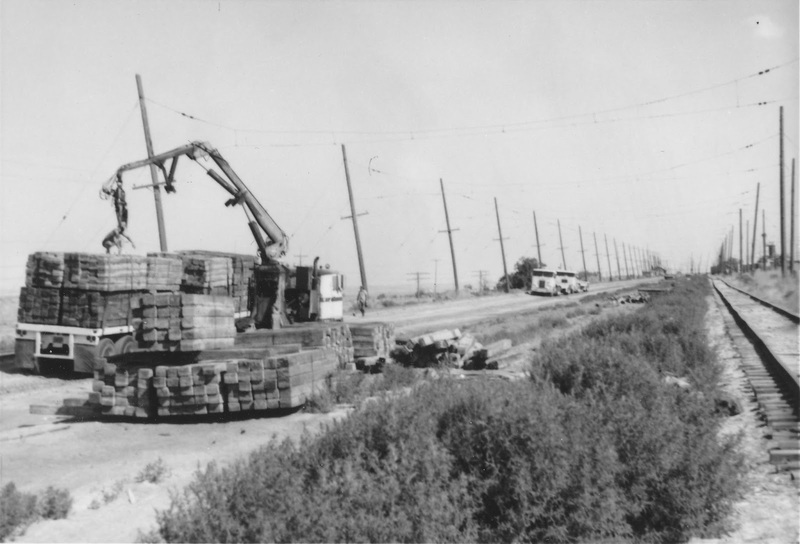 In 1980, the extra yard tracks were taken up, with the rail and the ties being salvaged for later use. A few through tracks were kept, to allow what little business there was in town to continue. Above the tracks are the remaining support for the old electrification system, last used in 1971.